Become a part of all that is Chestnut Hill and enjoy all that this charming town has to offer… from shopping to restaurants! Chestnut Hill’s green landscapes, lush gardens, public parks and renowned architecture earned the neighborhood the distinct designation of “Philadelphia’s Garden District”. Brimming with culture, recreation, world-class dining, diverse shopping and entertainment, every nook and cranny of this town begs to be explored. Come stroll along the tree-lined cobblestoned Germantown Avenue and take in all its positive energy. Our retail favorite is Serendipity Shops of Chestnut Hill! And right next door, TruMark Financial Credit Union offers professional banking services that can’t be beat. Chestnut Hill is a dynamic, friendly, and attractive destination to live, work and visit. We welcome you to explore any leasing opportunities we may have available! 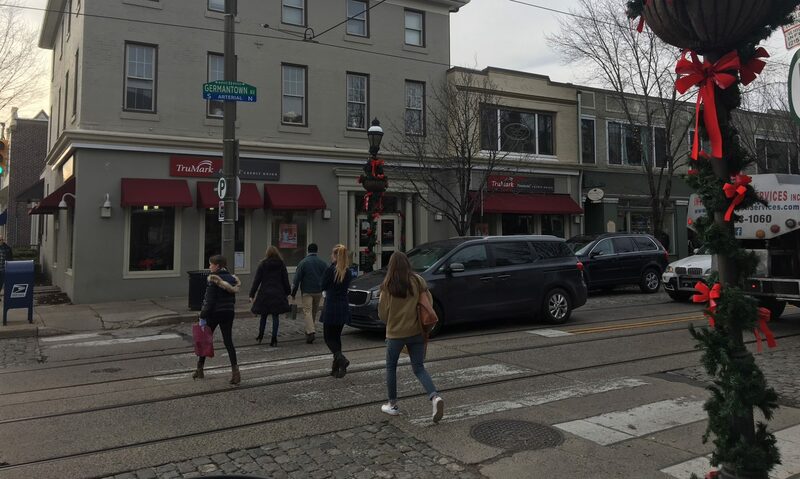 The Crossest Group offers commercial and retail spaces in the heart of Chestnut Hill that are bright, well maintained, and wonderfully located close to shops, restaurants, parking, and public transportation. Providing the integrity & direct client care found in a “Mom & Pop Shop”, The Crossest Group handles the management and leasing of its spaces at 8500-10 Germantown Avenue. Enjoy corner views of Germantown and Highland Avenues from the second and/or third floor office spaces at 8500 Germantown Avenue; 1200, 1400, or combined 2600 square feet offered at a competitive base rent plus NNN. Please call to schedule a walk through and to discuss specifics. Become a part of all that is uniquely Chestnut Hill. Our property is situated along the tree-lined cobblestone main street of this charming upscale neighborhood on the outskirts of Philadelphia. From 1200 to 2600 square ft of office space available offering corner views of Germantown and Highland Avenues.